Yes, the name sounds like it's straight out of a sci-fi movie. As it turns out, the phone itself might be, too. Featuring a simple and elegant design and a powerful 1.2 Ghz quadcore processor, the Galaxy Core Prime allows you to multitask quickly and efficiently, whether you're surfing the internet, navigating your way through town or browsing the Google Play store. 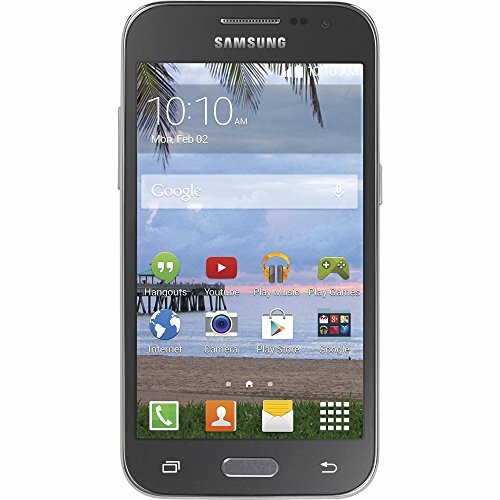 With a brilliant 480x800 resolution touchscreen, front and rear camera and up to 12 hours of battery life, the Galaxy Core Prime is a modern-day prepaid smartphone that feels like it belongs in the next generation.